Local recyclers respond to China's restriction on scrap imports. Billions of tons of it get exported to places like China, which take the recyclable materials and turn it into toys, lunch boxes, electronic parts, and then ship the goods back to America and elsewhere. In 2017, the US made $17.9 billion exporting scrap materials. For decades, garbage trade worked well. 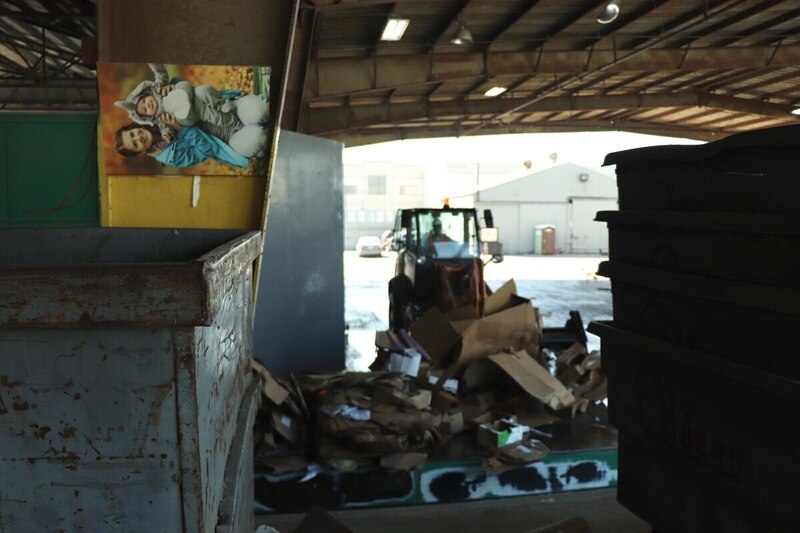 Cities like Los Angeles could find a market to take much of its solid waste, even making a modest revenue. Producers in China got cut-rate raw materials, and the stuff they didn't need they just dumped locally, taking advantage of the country's lax environmental regulations. But since January, the trash economy has hit the skids, ever since China launched a new policy called the "National Sword" that bans the import of 24 categories of recyclable materials including certain types of plastics, fibers and paperboard. The new policy is a response to the country's growing sentiment against "foreign trash", according to the Chinese state media Xinhua News Agency. 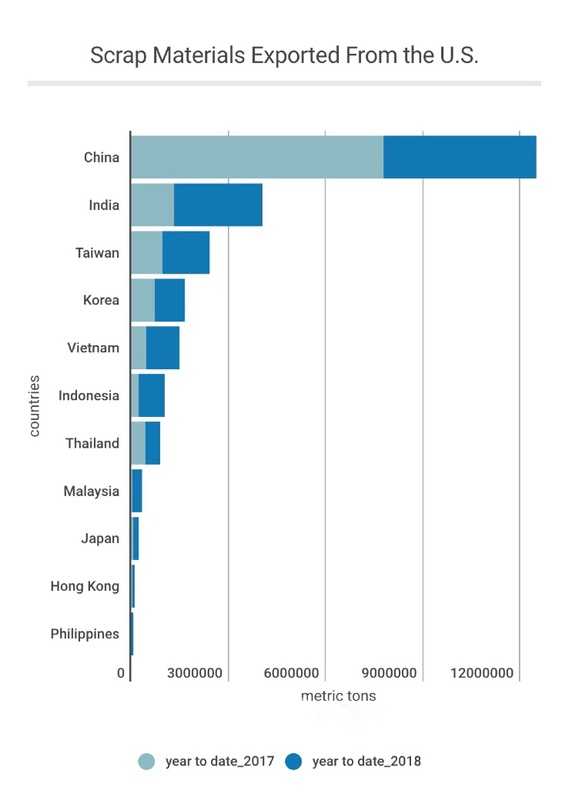 China has been the largest export destination for scrap materials. In 2017, the United States exported 11 million tons of scrap materials with a value of $5.6 billion to China, according to the U.S. International Trade Commission. That is one-third of the US' total export of scrap materials. In the first eight months of 2018, the waste, parings and scrap of plastics exported to China dropped 92 percent. No matter the backstory, China is determined only to take in cleaner packages, while the U.S. is actually dumping dirtier trash. 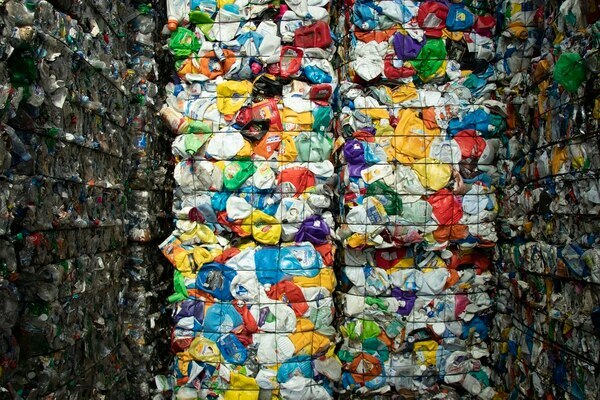 Since China essentially blocked all but a few recyclables, Los Angeles-based waste companies are looking for other destinations, such as Vietnam, India, and Korea. But these countries don't have the same processing and manufacturing capabilities as China, and will only accept waste at a lower price. And for business owners like Brett Johns, that is bad news. He is the vice president of City Fibers, a family-run recycling company in the City of Vernon. Sitting in his office, Johns explained the ramifications of China's new Sword policy on his company, which was established by his father 34 years ago. He said the company is shipping a lot less to China now that it won't accept most categories of waste materials he takes from local municipalities. "We've been shipping to a lot of other countries to make up the backlog," he said, adding that he traveled extensively in Asia in 2018 in search of new partners. "The other countries are helping offset the losses, but we definitely feel the effect of China ban," he said. "China is the biggest buyer before. When the biggest buyer put on the brake, the price is bound to be affected. In addition to finding new partners, Johns has had to adjust to the fluctuation in pricing, so much so that he considered laying off staff. But he couldn't. In March, China went one step further, ratcheting up the regulations on the imports that are not banned with a nearly impossible 0.5 percent contamination standard — up from 1.5% — for plastics and fibers. The bottom line for City Fibers is that all Chinese buyers of City Fibers' recyclables wanted cleaner plastic bottles in their shipping containers. 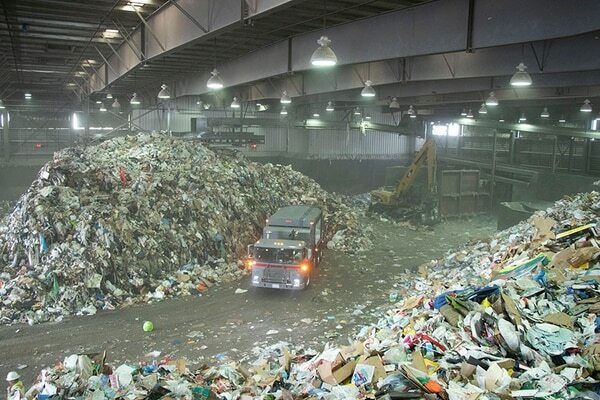 "So, we have to slow down our system and sort the trash two or three times," he said. 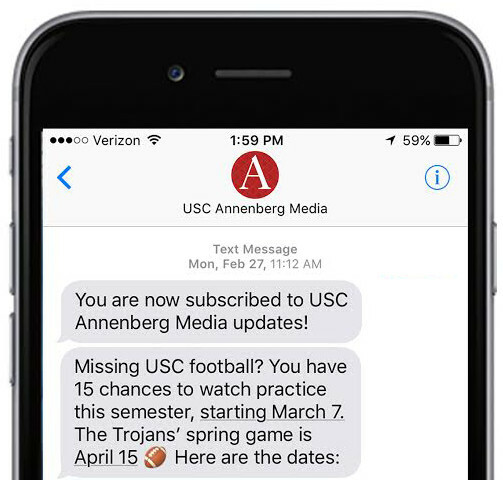 "We actually ended up hiring more labor." According to Johns, the company's employees increased from around 240 to 270 this year. The newly hired workers are now assigned to the processing line to produce cleaner trash. While City Fibers is hiring more workers, the Sanitation District of Los Angeles County (LACSD) is taking a different strategy. Nick Morell, the recycling coordinator at LACSD said his agency recently acquired a robot instead to reduce the labor cost and increase the efficiency of quality control. In October, LACSD signed a contract with the machinery manufacturer Bulk Handling System to introduce artificial intelligence technology into their quality control system. Before that, the sanitation station relied on both optical sorting machines and human labor to process municipal waste. For 24 hours, seven days a week, the robotic machine sorts trash, removing non-plastic items like blue jeans and cake. The spidery limbed robot has proven efficient and its use has resulted in the loss of jobs. "They were temporary labors through contracts, so they are either reassigned to other facilities or temporarily laid off as they are not gonna work on the line," Morell said. "I would say China's ban is the primary reason for us to automate the system", Morell said, but there are other factors. "The minimum wage in California is raising," Morell said. For employers with more than 25 employees, the minimum wage in 2018 went from $10/hour last year to $11/hour after California Gov. Jerry Brown signed the state's $15-an-hour minimum wage law into effect. And it will keep rising till 2023. Johnny Stevenson works 40 miles west of LACSD in the Sun Valley. He is the facility manager at Athens Services, a waste management company formerly shipped waste products to China. "Prior to the ban, we did have a good portion of material shipped to China," he said. "The restrictions definitely had an impact on our industry." Like Johns' company, Athens is also looking for new business partners in other parts of the world, particularly in Asia. "We have decided not to ship a single container to China," he said, "and we are looking for other options." Properly sorted waste would help ease some of the burden for waste companies, owners said. The Environmental Protection Agency (EPA) reported in 2016 that the contamination of loads was on average 16 percent. Today, roughly 1 in 4 or 25 percent of items placed in a recycling container are actually not recyclable. "You find plants, soil and dirt on the recycling line. Sometimes people put in peanut butter jars," said Johns, of City Fibers. "Things that are not supposed to go into the blue bins – they ended up there, for whatever reasons," he said. "The person might be busy, or their trash cans were filled up, so they put their extra trash in the recycling bin." Educating the public about how to recycle would help, he said. 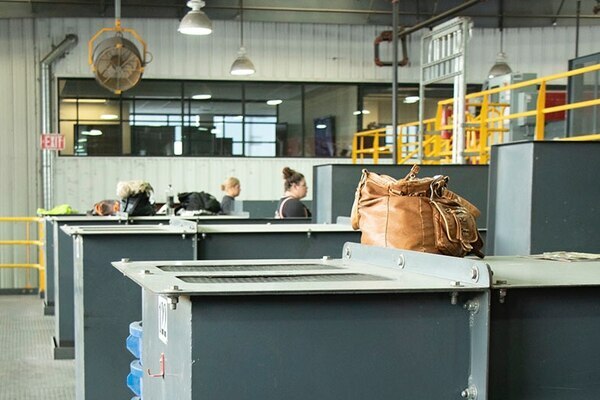 Surveys by the Institute of Scrap Recycling Industries (ISRI) in 2016 showed that 44 percent of adults "must rely on their own devices to figure out what can and cannot be recycled, information about the recycling process and other details about recycling". The number says that U.S. citizens are not well-informed about the recycling mechanism as well as its impact. "Sometimes it can cause havoc on machinery," Johns said. "The system was not meant for contaminated wastes. it was meant for recycling streams — paperboard, boxes, junk mail, glass bottles and aluminum cans."